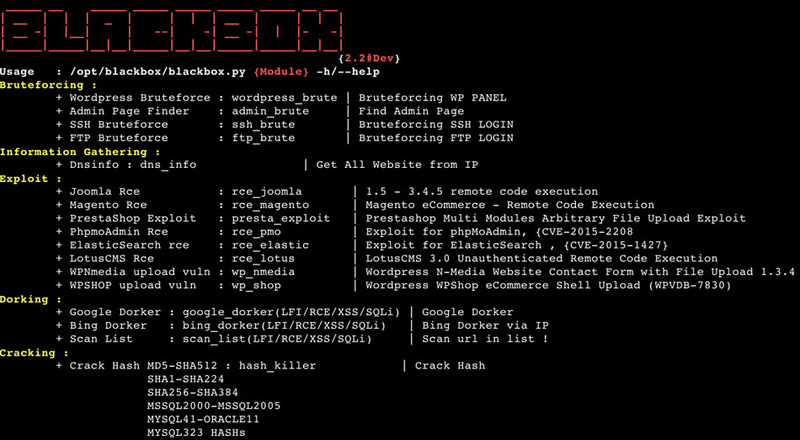 Browse: Home / BLACKBOx v2.2 – A Penetration Testing Framework. 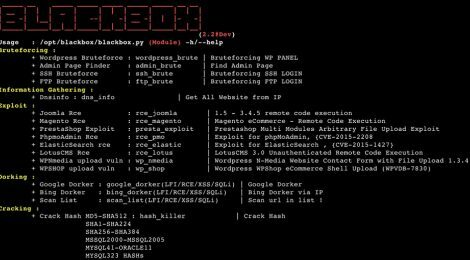 BLACKBOx v2.2 – A Penetration Testing Framework. + add function : bing dorker via dork & other bing via ip! 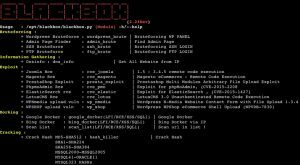 BLACKBOx – A Penetration Testing Framework. ← brut3k1t – Server side brute force module.